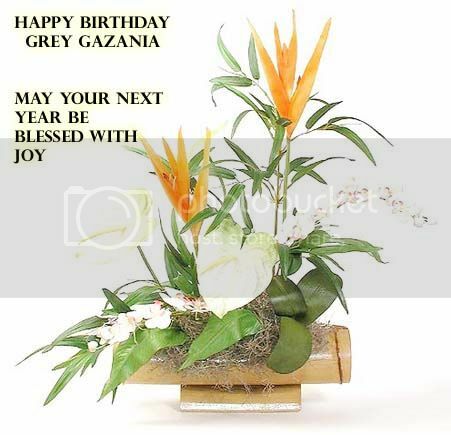 Happy Birthday, Grey Gazania. For you, a special floral arrangement and wishes for a spectacular year ahead of you. Current Music: Happy Birthday - duh!